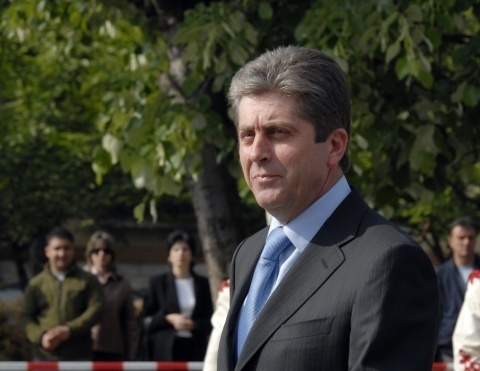 Bulgaria's former President Georgi Parvanov (2001-2012) has decided to resuscitate his political project Alternative for Bulgarian Renaissance (ABV) Movement. The movement was declared "frozen" less than a year after its launch, but will be revived now, triggering suspicions of an even deeper divide among the Bulgarian Socialist Party (BSP). The first aim of ABV is the elections for European Parliament in May, where the Movement will have a separate alternative left-wing ballot, to be led by MEP Ivaylo Kalfin as an independent candidate endorsed by an initiative committee, sources have told the Bulgarian Dnevnik.bg, speaking off-the-record. Both Parvanov and Kalfin decline comments for the time being. Kalfin was Foreign Minister in the Three Way Coalition government of Prime Minister Sergey Stanishev, the current leader of BSP. He became MEP on the BSP ballot, but is not a member of the party and has been very critical recently of its leadership. Kalfin was also BSP candidate for President in the 2011 elections. ABV is expected to be joined by a number of other disgruntled Socialists, both in the party and those who have left it. The official restart of the Movement is planned for January 14 in the National Palace of Culture (NDK) in downtown Sofia. People close to Parvanov have said that he froze ABV to avoid accusations of causing a rift in BSP, but Stanishev's policies and the behavior of the party leadership have "disgusted" so many left-wing followers and supporters that they now need an alternative. Citizens, experts, and NGOs are also expected to join the Movement. Parvanov so far has not applied to be released as BSP member, however, the party Code postulates that if a member joins an alternative organization with a political party status or a ballot of another formation, they are going to be expelled automatically. Meanwhile, ABV issued a declaration strongly condemning the scandalous behavior of the leader of the ultranationalist Ataka party, Volen Siderov, and his MPs at the Varna airport and the ambiguous position of the BSP leadership on it. In addition to Parvanov and Kalfin, the text, which was sent to all media, is signed by the former President of the University for National and World Economy, Prof Borislav Borisov. Former President Parvanov is a longtime internal party opponent of Stanishev. Parvanov is a former chair of the largest Bulgarian leftist formation BSP, in the late 1990s, and two-term President of Bulgaria in 2002-2012. After ending his second term as President in January 2012, he launched a campaign to reclaim the Socialists' leader position. However, at the party congress May 19-20, 2013, he felt his standing was not strong enough and withdrew his candidacy, paving the way for Stanishev's reelection. Parvanov saluted rival Sergey Stanishev for his victory in the election for President of the Party of European Socialists, PES in October 2012, but has been very critical of his policies in the current Socialist-endorsed government, saying often the party is experiencing serious crisis due to poor management.